and I have the opportunity to earn up to $5! Tea is one of life’s simple pleasures. We begin with the world’s finest tea leaves, then artfully blend them with herbs, spices and botanicals to create unexpectedly rich, truly memorable flavor experiences. When it comes to selecting the best-tasting teas, we listen to the leaves. Once a tea is plucked and processed, freshness and quality are preserved by ensuring that all teas and ingredients are properly stored and handled, and by selling only tea from the current or most recent growing season. To maintain quality standards, every tea we use is tasted up to seven times before it reaches the consumer: at offer, before shipment, upon arrival, during formulation, several times during blending and after packing. Though we may taste more than 150 teas in a day, only a handful will ever find their way into a Tazo product. A tea’s character is affected by its region, geography and climate, along with traditional, local agricultural practices. Because tea comes from a regional tea garden as a finished product, Tazo relies on creating signature blends to enhance our tea assortments. Blending tea allows us to create a product from multiple ingredients that cannot be made by using any one of the ingredients by itself. Blending is an important aspect to maintaining consistent flavor profiles. 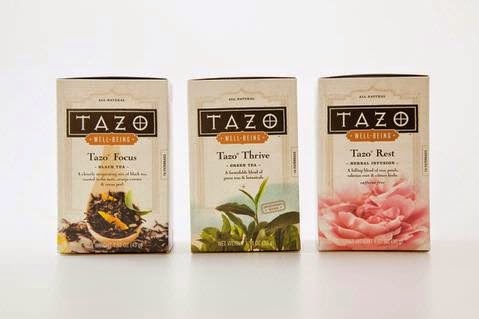 Blending also allows Tazo to create products with unique flavor profiles that are unlike any other tea brands. At Tazo, we take customers on a journey of discovery in the world of tea – infusing their exploration with unexpected delights to engage all of the senses. I have tried Tazo Tea and found it so simple to make. Just a tea bag and hot water. Tazo had a great big flavor though. My favorite was Vanilla Caramel. There are however many more flavors I look forward to trying. I received a free product sample from Smiley360. My opinion is real and honest however. 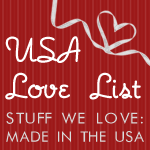 Who's a @shopittome member? I'm obsessed. Want in? an online shoe and accessories retailer. of products that are easy to find at the prices you want. Join PINCHme to try products from brands for free. PINCHme gives you the unique opportunity to discover new products and try them for free. It's simple - you choose a product from one of our leading brands, and we then deliver it to your home or workplace for free. But be quick, we’ll reserve the products in your box for a limited time, to ensure that everyone has a chance of receiving the available products. Once you've tried, tasted or touched the exciting products we offer, you can leave your feedback. Start pinching now! !